There is a new trend in public transportation that is happening just across the Catawba River from Lake Wylie, Fort Mill and Tega Cay, that will hopefully be making its way all around the region. 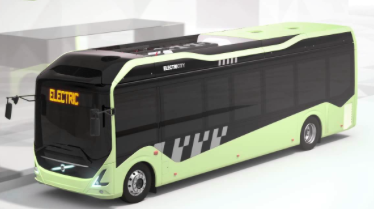 Electric buses are soon going to hit the scene in the city of Rock Hill. These buses not only limit environmental pollution, but they feature Wi-Fi and charging stations in addition to seamlessly connecting residents around the city with downtown stops. Plus, this will be a free service for riders. With so much development happening in the Lake Wylie area, the options for entertainment, dining and shopping continue to grow while transportation to and from these locations gets more and more difficult. Traffic on the major local highways and thoroughfares as well as the lack of available parking, is certainly a deterrent. Public transportation would cut down on traffic, eliminate the frustration of trying to find parking, and would greatly reduce environmental emissions. More so, the public transportation is great for businesses and would be a tremendous boost to the local economy. There are many details that would need to be worked out among the three municipalities of Fort Mill, Tega Cay and York County. Hopefully, what’s about to get underway in Rock Hill can also become a reality on the opposite side of the river. For more details and information on this project, check out the article at Heraldonline.com.